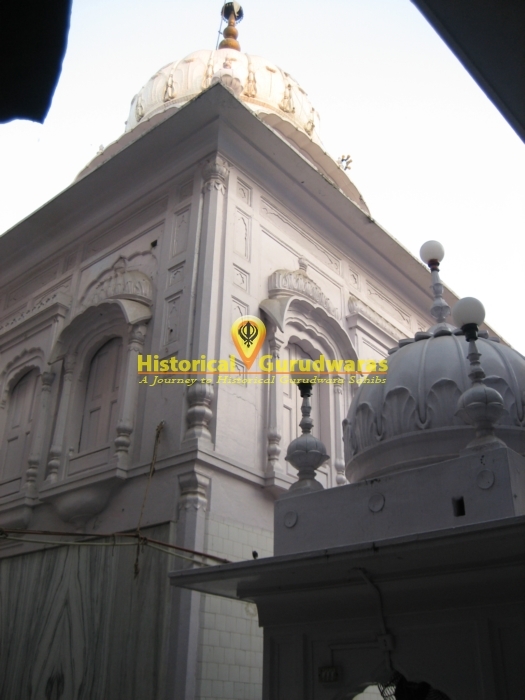 GURUDWARA SHRI TOBHA BHAI SHALO JI DA is situated in the Distt City Amritsar. 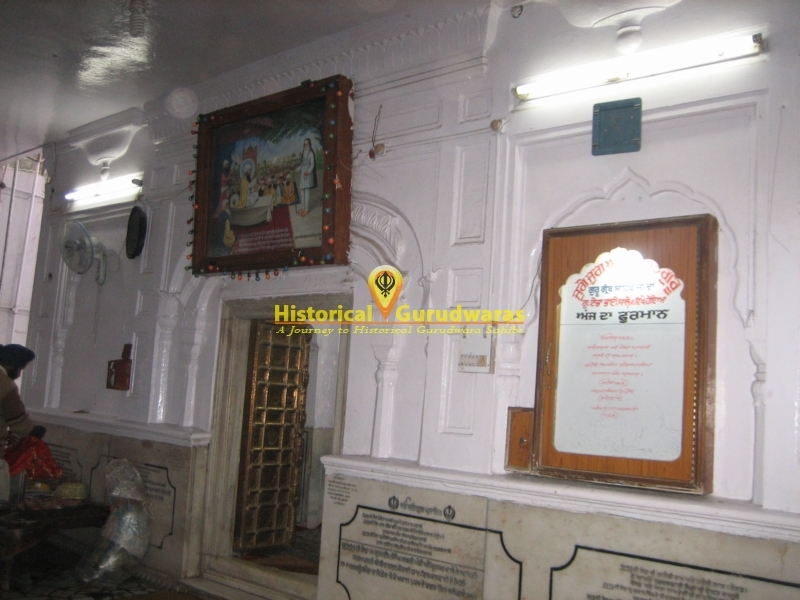 Situated in the hall bazaar area of Amritsar marks the place of pond where Bhai Shalo ji used to stay while construction of Amritsar City. 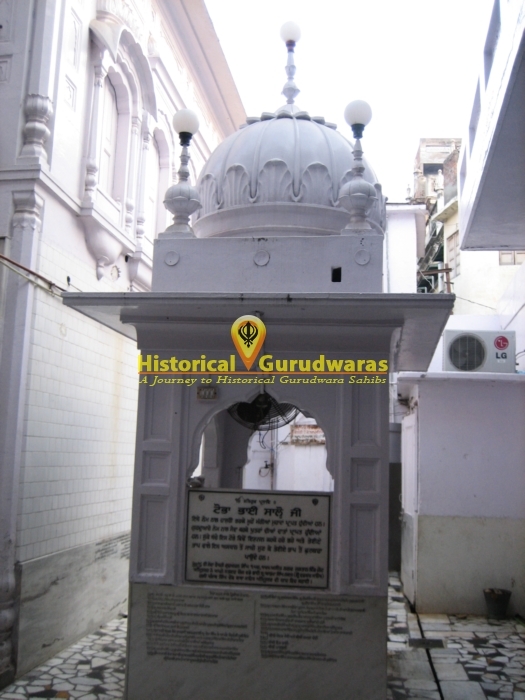 Bhai Shalo Ji was born on 29th September 1554 in Dhaula Kangra village, in Malwa region. His father was Bhai Dyala Ji and mother was Mata Sukhdei Ji. 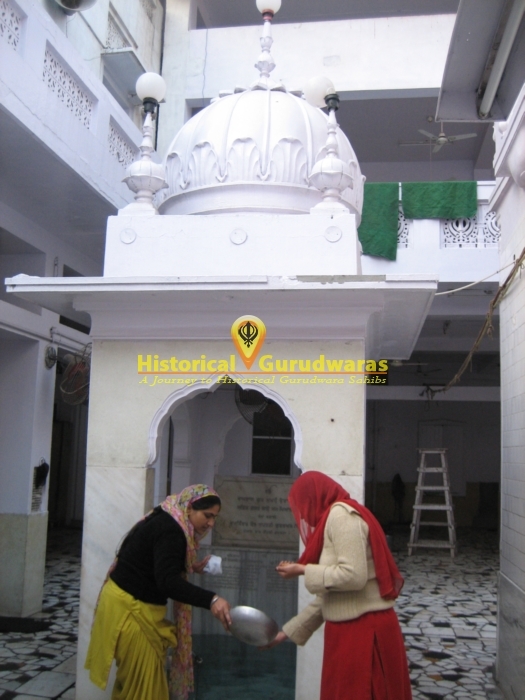 His parents were followers of Hazrat Sakhi Sarvar and turned into gursikh, after meeting SHRI GURU RAM DASS JI. Bhai Sahib's parents went to Majitha and Bhai sahib stayed with GURU SAHIB and started selfless service (sewa) and meditation (simran).Establishment of City:- For Establishment of city, Bhai Salho ji brought traders and workers of 52 Castes and settled here. 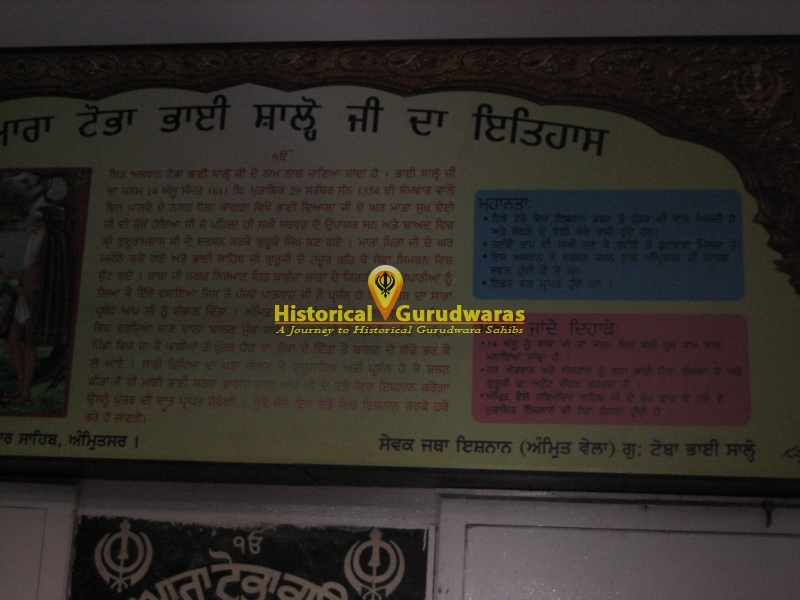 SHRI GURU ARJAN DEV JI delighted to know this and gave charge of whole city to bhai sahib. Renovation of Sarovar:-For strengthening and renovating of the Sarovar, The fuel required for kiln was finished. Bhai sahib went to many villages like Pandori Waraaich etc and exclaimed that a person who would donate fuel (Bio fuel like dung cakes, Firewood, agree-residue etc) would be blessed with a son. Many people gave donations and bhai sahib bought carts full of fuel. When GURU SAHIB knew this, he was very much pleased with bhai sahib and stated the person who would bath, with heart and soul, in bhai Salho's pond would be blessed with son and weak children who bath in it would become healthy.